Portugal sits at the western edge of Europe, with Spain along one side and the Atlantic Ocean along the other. With a stunning coastline, beautiful capital city and world-class food and wine, it has all the elements of a perfect European destination. 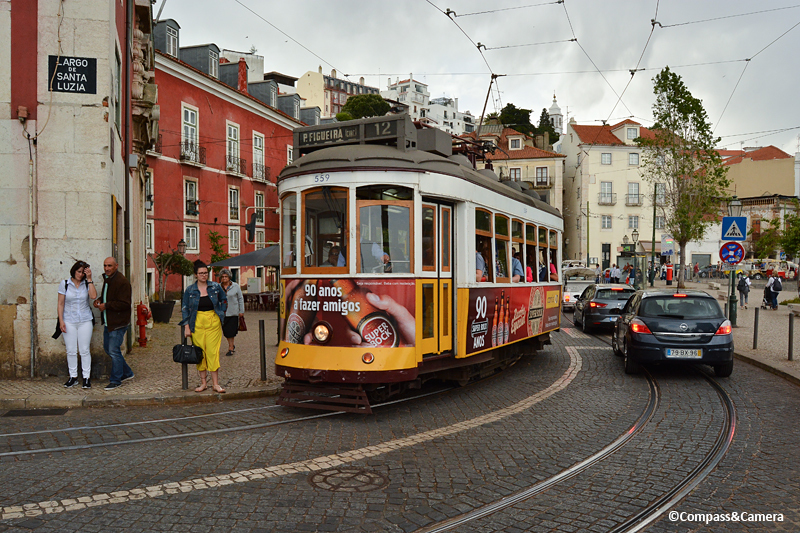 But in the world of travel and tourism, Portugal is almost always overshadowed by its more popular neighbors. Spain and France together attract more than 150 million foreign tourists every year while Portugal only recently surpassed 10 million in 2016. This is good news for anyone going to Portugal, as we discovered last spring. We enjoyed uncrowded streets and affordable accommodations throughout our trip. 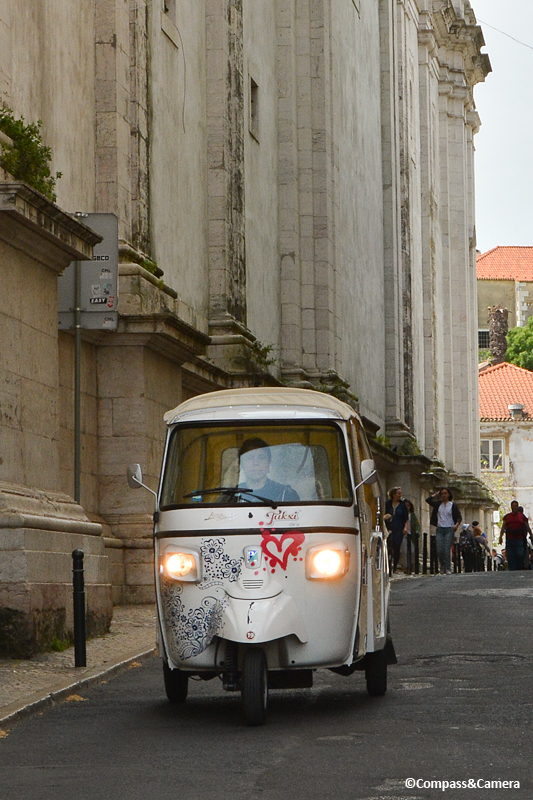 We started in Lisbon, where the history is serious but the attitude and terrain feel a lot like San Francisco. 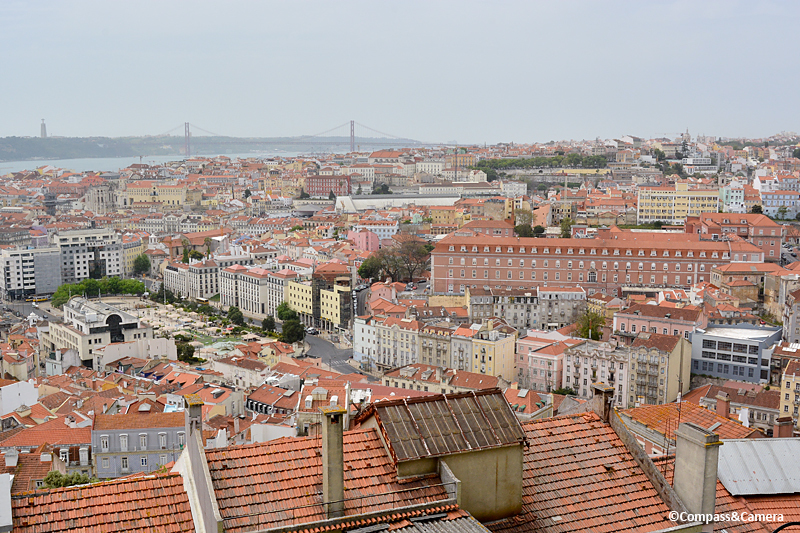 The city clings to a hillside overlooking the mouth of the Tagus river. Coming and going from our apartment in the Chiado district, we were always walking uphill or downhill on our way to the next stop. 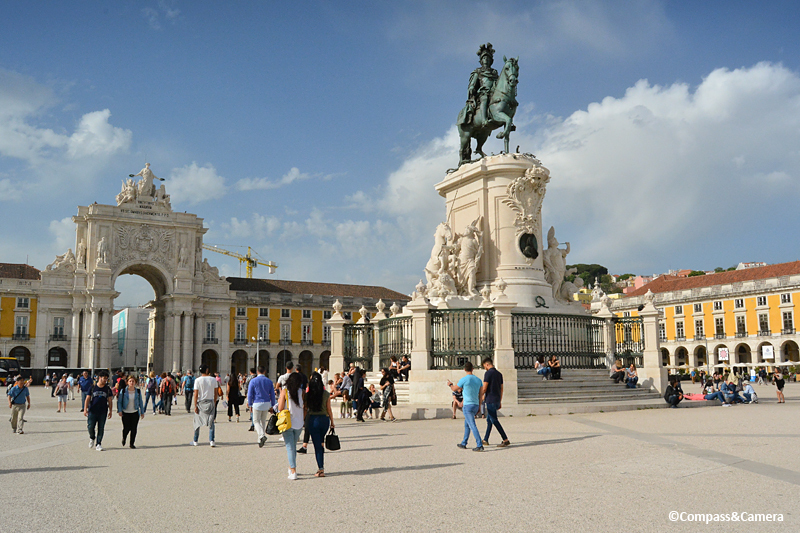 Through the centuries, Lisbon has succumbed to the control of Berbers, Arabs, Norwegians and Spaniards, as well as the destructive forces of fire and earthquakes. 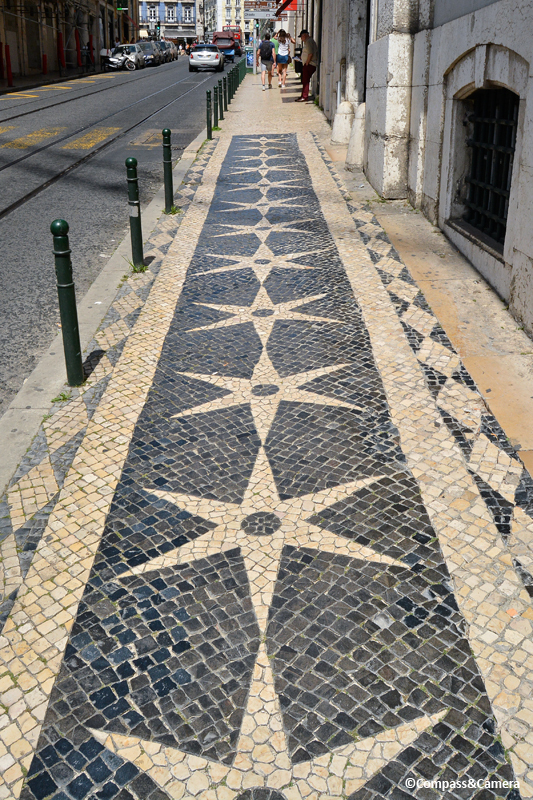 All of these influences are still visible in Lisbon’s architecture, tiles and cracks in the walls. The city’s location on the Atlantic seems to have influenced its color palette, with all the soft shades of water, sky, sunshine and sunsets applied along every street. 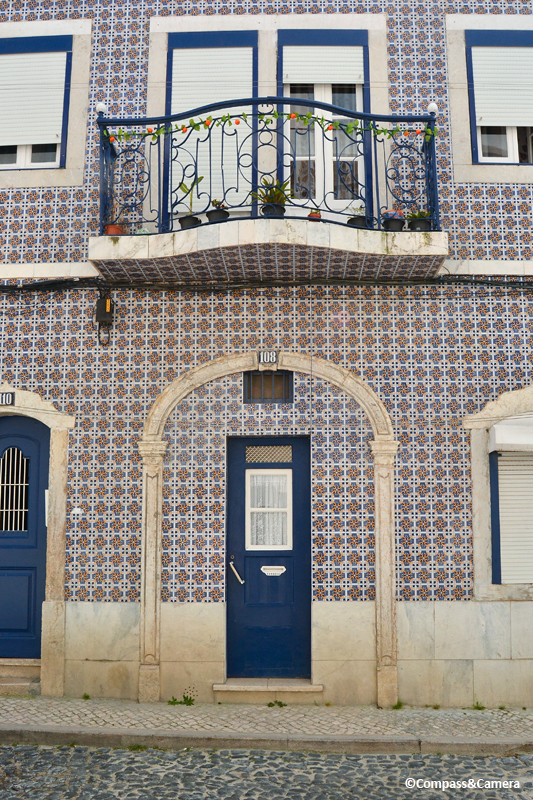 The joy in the colors and patterns feels unique to Lisbon. A lot of time and thought has gone into embellishing this city. 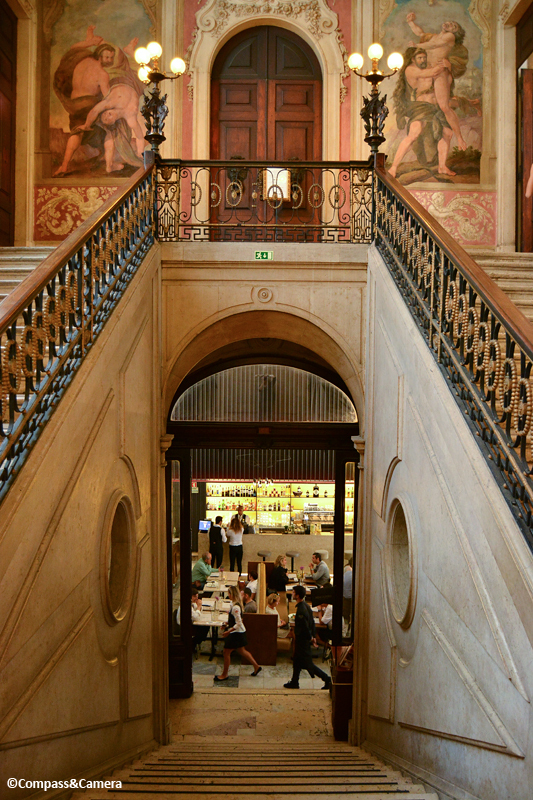 Stepping into Palácio Chiado for lunch was unexpectedly cool, not only for the unique dining areas arranged on two floors but also for the contrast of chic and antique interiors among them. 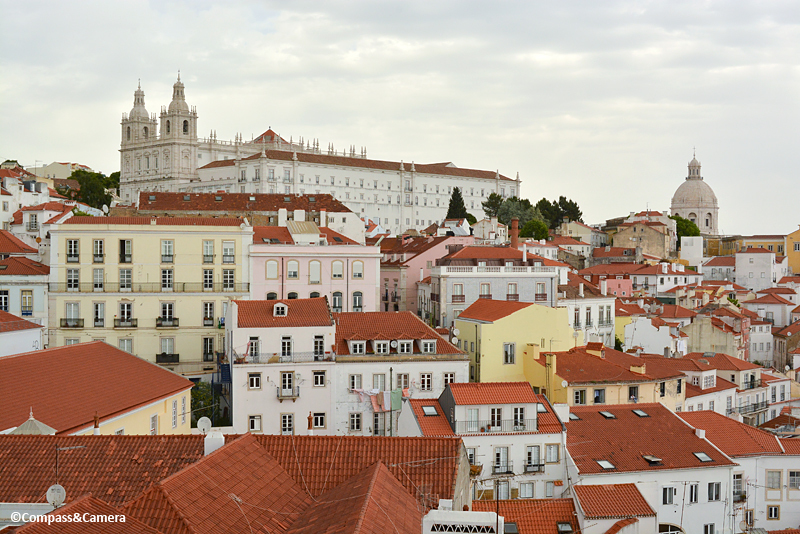 Lisbon’s casual style is an eclectic mix of old and new. It never feels constructed or fake, and whether you’re dining at an up-and-coming restaurant of a Michelin-starred chef (Mini Bar; José Avillez; wonderful) or just having an afternoon beer at the Praça de São Paulo (on draft, with service and good people watching), you’re welcomed with genuine hospitality. 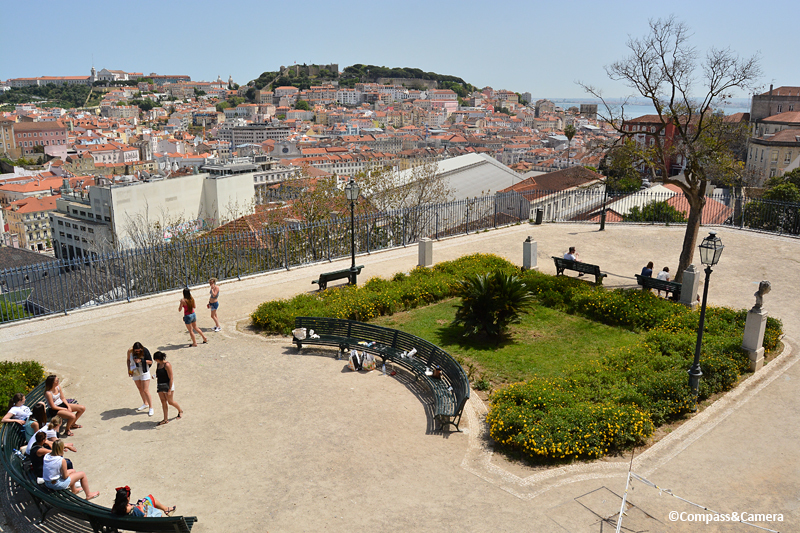 With so many hills, Lisbon has lots of viewpoints where you can take in scenic views of the city. A walk up the hill to Miradouro de São Pedro de Alcântara gave us our first vista across the city toward Castelo de Sao Jorge. 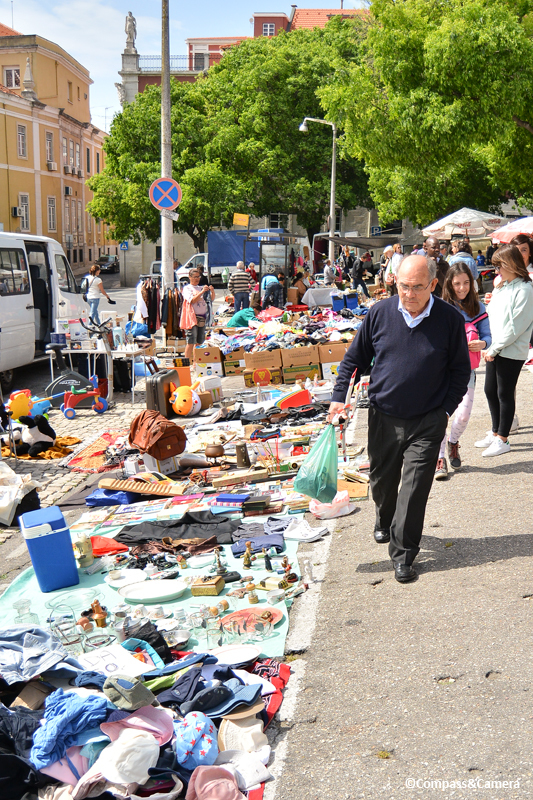 We took a Sunday stroll around the Feira da Ladra, Lisbon’s twice-weekly flea market. Any good traveler knows that market days are the best days to see local color, and the Feira da Ladra was no exception. Locals were out with a million things for sale including clothing, dishes, artwork, antiques, old tiles and Barbie dolls. I picked up a pair of Roy-Bom (Ray-Ban) sunglasses and an old brass plate with an etched design. Another walk took us up another hill to Miradouro da Nossa Senhora do Monte where we could look west across the whole city to the Ponte 25 de Abril bridge, the largest suspension bridge in the world (and very similar to the Golden Gate). 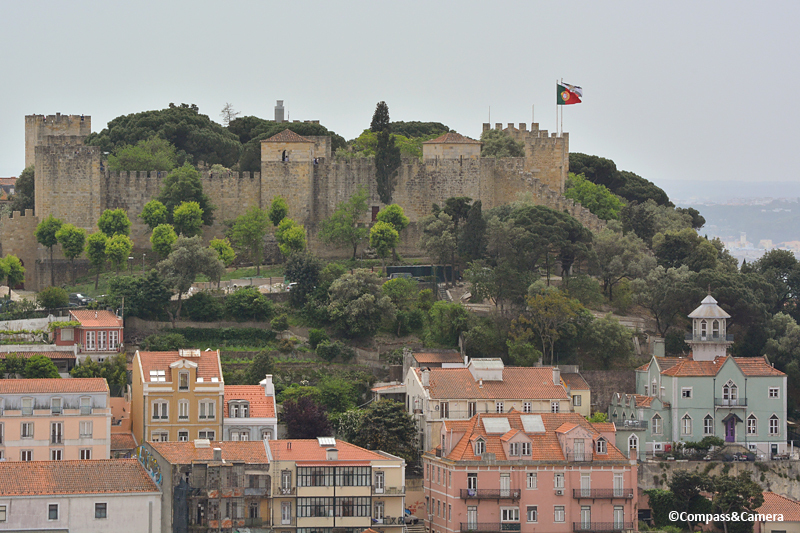 Back down the hill and around the Castelo de Sao Jorge, we arrived at the edge of the Alfama, Lisbon’s oldest neighborhood. Buildings are packed onto the hillside with narrow walkways leading down to the main street bordering the river. This is the best area in Lisbon to experience Fado, the historic art of singing traditional Portuguese songs with trademark melancholy. At the Praça do Comércio, the sun finally burned through the haze and brightened up the afternoon. With baton twirlers and bubble blowers around, we sat and rested our feet before continuing on to the Time Out Market. 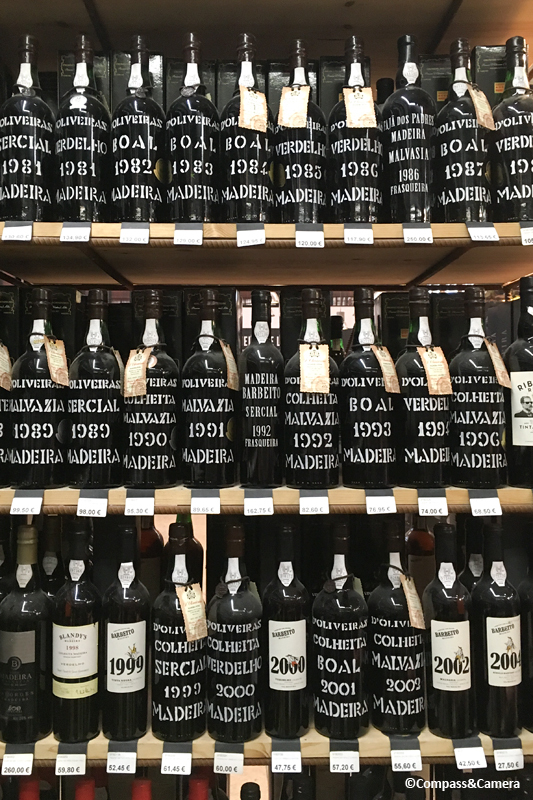 What would a visit to Portugal be without a little Madeira wine? How amazing to see such a wide range of vintages at the market. We enjoyed a small sample poured from a bottle that was corked in 1972, the year my grandmother was traveling Europe. The Time Out Market opened in 2014 after renovations to the complex, which has been around for more than a century. It’s a great place to grab a coffee or a gourmet bite to eat after picking up some local produce or flowers at the mercado next door. Kitchens in the market cook Lisbon’s authentic, best food (as tasted and confirmed by local experts), for affordable prices, under one roof. You can also find fresh seafood and really good charcuterie among the many delectable things to eat. 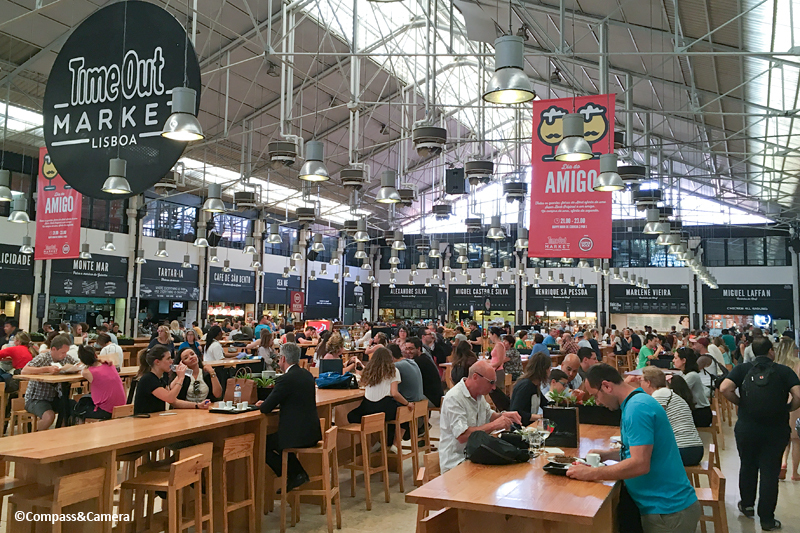 The concept has revived the neighborhood and given tourists and locals a communal place to experience Lisbon’s characteristic cuisine. And this is really at the heart why we found Lisbon so livable and lovable. The city has loads of history and beauty, but the focus really seems to be on enjoying some very basic things in life: a nice view, a good glass of wine and a great meal with friends. Who doesn’t love that? One has not truly had coffee, until they’ve had coffee in Lisboa. Thanks for sharing these photos. I visited in 1989, and again in 1993. 😉 Both visits, were too brief. Yay, another Portugal lover! Nice comment! Add a custard tart to that coffee and I’m in paradise! Great to hear from you, Kevin. 🙂 Thanks for sharing your memories. Beautiful, beautiful photos, Kelly! The way you describe Lisbon really makes me want to go now. In fact, Portugal is among the countries I most want to see if I do come again to the continent. 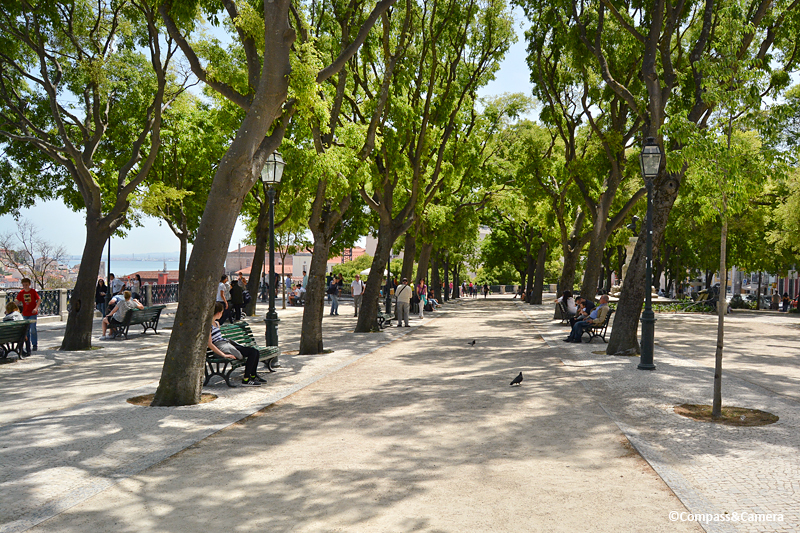 Another blogger said that Lisbon had this unexpected Scandinavian charm. Did you also feel that? Thanks, Bama! That’s a good question. I haven’t been to Scandinavia yet so I can’t truthfully say that I understand what that means! 🙂 But regardless, it was charming in a quiet way, easy to relax and just not as “showy” as a lot of other European cities. No doubt you’ll love the food whenever you get there! This allows me to enjoy so many beautiful areas I will never experience. Thank you so much, Sharon. Love that. Happy to provide the gifts upon return from every trip!! 🙂 Sintra is coming up next. Very picturesque. I think you’ll like the photos. Thanks for the sweet comment! Well I am now in love with Portugal…..seems like she is Spain’s beautiful little sister. Perfect way to describe it, although the Portuguese might feel differently! Thanks Mom! Your wonderful photos and description confirm for me that we must get to Lisbon one day! Yes! Eat, eat again, maybe drink some wine and be merry! Lisbon is the perfect place for it. Thanks, Alison! 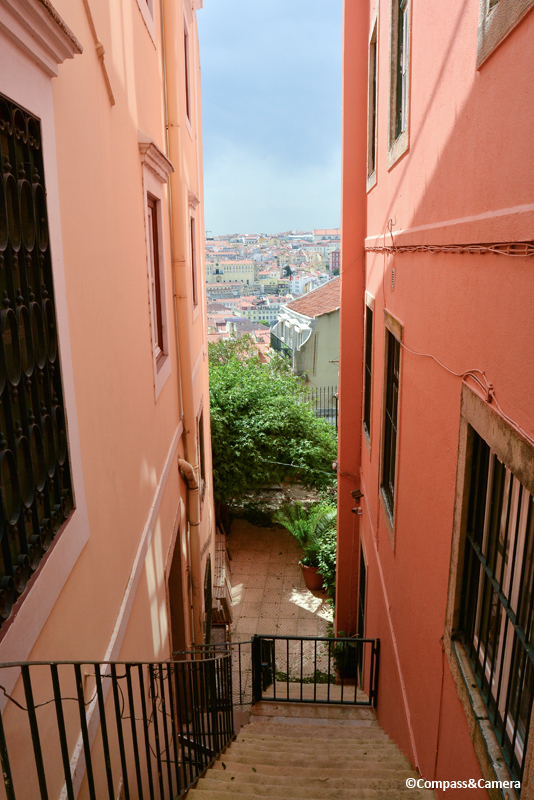 We loved Lisbon too, so your gorgeous photographs brought back amazing memories of this delightful city. 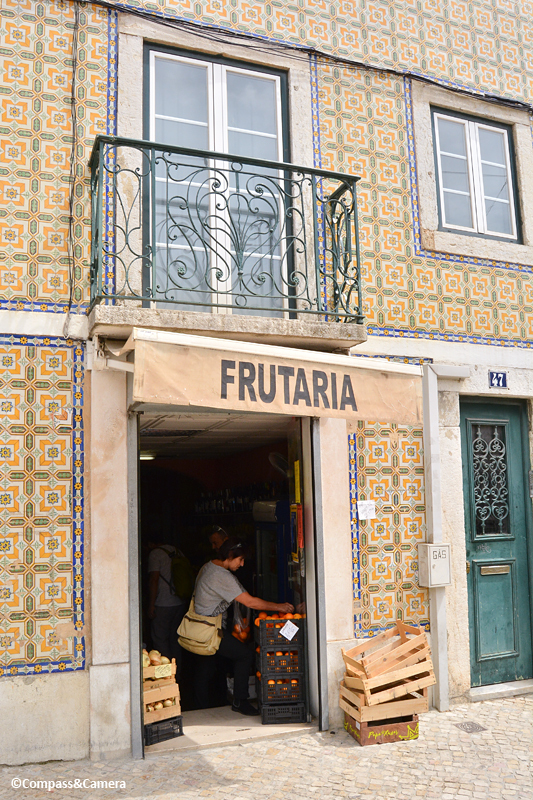 We enjoyed really good food in Lisbon (we thought better than Spain!) and especially the amazing pasteis de nata. You did have those right? Hot and doused in cinnamon and powdered sugar they are the best treat in Lisbon. The tiled houses never ceased to amaze us and we loved the Tile Museum which was small but spectacular. We definitely thought it had similar elements to San Francisco. I don’t know if that is a common comparison but it was definitely apparent and palpable. Two cities we love. Thanks Peta! Great to hear you enjoyed Lisbon so much. (I really don’t know anyone who hasn’t loved it!) Yes, the pasteis de nata were so delightful. The perfect sweet treat to accompany a morning or afternoon coffee. Agreed — the tile museum was spectacular. A highlight for me, too. (Did you see my post from two weeks ago?) Thanks so much for sharing your thoughts! More Portugal coming soon — maybe tomorrow! Xo ~K. 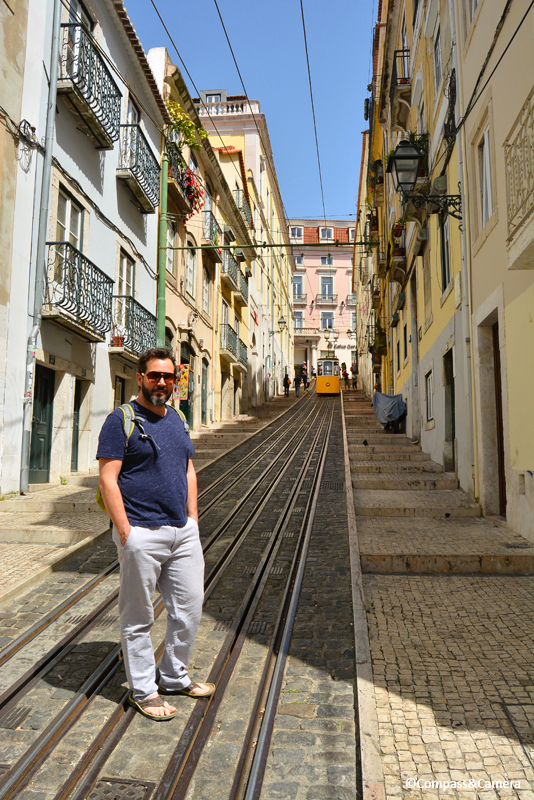 I’ve had but a brief taste of Lisbon and Portugal. I think the thing that struck me the most was the amount and quality of the tile, and the patterns so common on sidewalks and plazas. Kind of makes you wonder if it was an artist’s colony before that was a thing. That’s a really good point, Dave. The tile museum explains the process and the history of the designs but doesn’t tell us much about the artists — mostly because names have been lost to time. But it begs the question of who was creating all that beauty and how many artists were living in the city at the time? It must have been a creative and prolific time to be there. Thank you for a very thought provoking comment! Loved the post; it made me feel as if I were there in person, not just vicariously looking over your shoulder. The photos are lovely and I so would love to visit Portugal. It seems a magical place, filled with both the old and the new. What could be better? Thank you so much! Wonderful to hear that you felt like you were there in person. That’s always my goal! 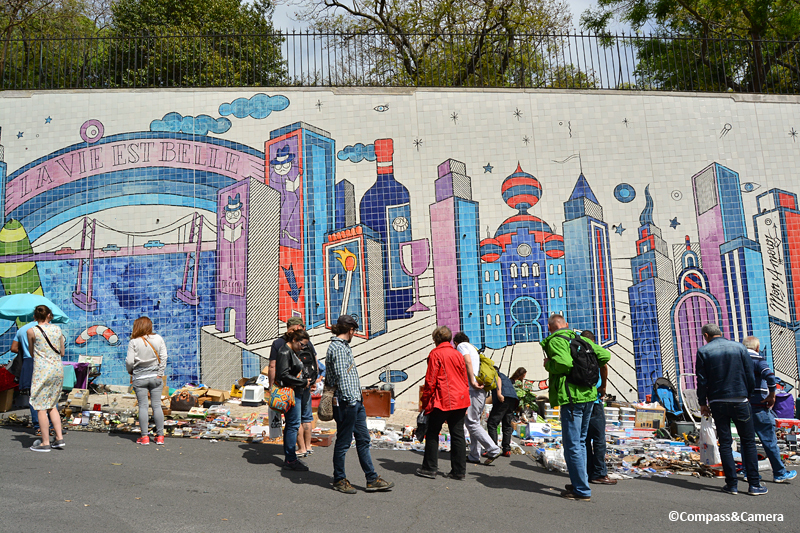 And you’re exactly right — a wonderful blend of old and new.Thanks for sharing your thoughts! New post coming tomorrow, by the way. Me too!! 🙂 Loved seeing it! More cities should have rickshaws. Thanks for your wonderful comment! We do have a number of rickshaws in India. Your reference to one-time Norwegian control and Bama’s to Scandinavian charm were both news to me! I have only been in rural Portugal, but I feel Lisbon must be put on a near-term list before it gets more discovered and more crowded. The capital and the country itself keep popping up in my reading, and it’s just the kind of place I tend to love. GREAT photos – loved so many of them! Such an evocative account Kelly. Love the light and colours in your photos. Can’t wait to taste the coffee and custard tarts. And the wine 🙂 Could I email you for more restaurant recommendations? Thanks so much! Yes, of course! I just left you a comment on your site with my email address. Please do get in touch if you want to talk Portugal!